Remember my former post about The Great Gatsby? Mostly it was a link to this Emily Stimpson article, a discussion of why Millennials were so taken with this movie. Now that I’ve seen the movie, I don’t know if I can speak to Millennials. I can, however, take issue with other parts of Stimpson’s commentary. The key to any discussion about this movie is the magnificent performance by Leonardo DiCaprio. He’s been a talented actor his whole career; here he has surpassed himself. From the moment we see him onscreen (in an astonishing closeup that would terrify any actor) DiCaprio commands attention. He knows this character and is bold and confident in his portrayal. His character is described as “hopeful”. An actor cannot play “hope”, though. DiCaprio chooses a very active motivation. I would define Gatsby’s action as: “I am married to Daisy and I want her back.” Every moment can be checked against this action and the subsequent behavior is explained. The thrust of DiCaprio’s genius is that he’s chosen such a vital, driving motivation and committed to it. Other cast member are not up to snuff, though. In particular I am thinking of Carey Mulligan‘s Daisy. She certainly looks the part of a beautiful, stylish flapper-era woman. The clothes hang on her well and the wigs frame her delicate features. I would guess that she was cast for this reason. Mulligan is considered a fine actress, and she is accomplished at the way she has chosen to portray Daisy. I just think she’s picked a horrible way to portray Daisy. Ultimately, then, the blame should be laid at Baz Luhrmann‘s door. He cast her, he directed her, and he encouraged this portrayal. This Daisy is a victim. Perhaps Mulligan’s action phrase was, “I want to be loved”, or “I want a safe, contented life”. Either of these choices is passive and difficult to play. Daisy spends a lot of time weeping. (A bruised flower has few other emotional options.) Luhrmann should be dopeslapped for letting an under-prepared actress go toe-to-toe with a powerhouse like DiCaprio. Mulligan’s performance was not protected. I hope to God Millennials did not find one of the entrancing aspects of this movie to be Mulligan’s wilted womanhood. The turning point in this movie is when Gatsby thinks Daisy will leave her husband Tom for him. DiCaprio plays Gatsby as desperate in this scene and after. His intention, “I want Daisy back”, is in danger of failing and he behaves accordingly. What in the world is Mulligan playing, though? She loves Gatsby and Tom and vacillates between the two. (Great role model for young women. Not.) Gatsby’s intensity frightens her. Tom brings up a memory from their early days, a couple’s moment, and Daisy seems very drawn to him. Think about it. The symmetry with DiCaprio’s intention is poetic. Gatsby’s fatal flaw is that, no matter how much he feels married to Daisy, he missed the “exchanging vows” part. He has no legal claim to her and no sacramental claim. A life (and children) cannot be built on old feelings. Does our divorce-easy culture understand that? Do Millennials love the movie for the clothes or do they sense the sorrow at its heart? An actress who played Daisy with my intention for her would have delivered a much more nuanced performance. Tom cheats on Daisy, but for Daisy Gatsby is more than a revenge move. He loves her, a balm for a wounded wife. Gatsby is the past, though, and cannot become the future. Reuniting with Tom is Daisy’s future. At the end of the movie she has achieved her intention. Interestingly, Gatsby succeeds at achieving his goal, too: when the phone rings, just as he’s shot, he is convinced that Daisy is on the line and that she has come back to him. The tragedy comes from our knowledge that he has failed. 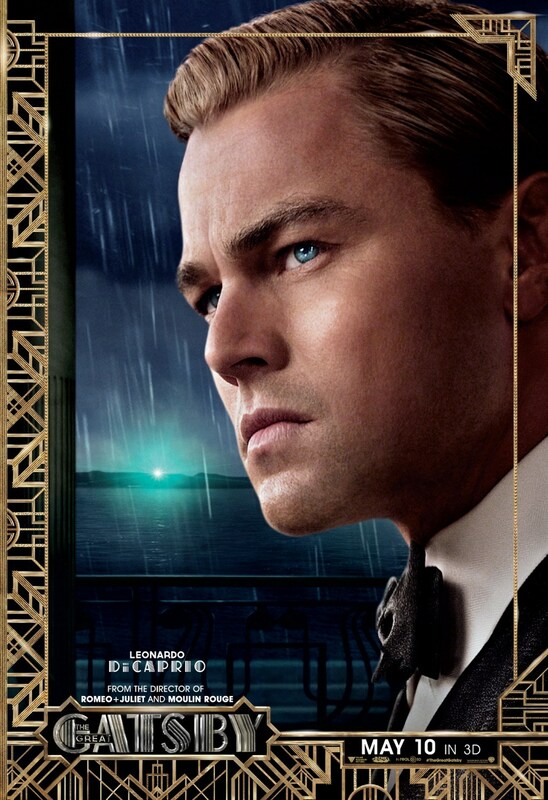 The poignancy of his face is the culmination of every feeling DiCaprio has given to Gatsby. He earned this ending, and it’s very powerful. Stimpson calls Gatsby “delusional” and “a fool”. I didn’t see this in Gatsby and I hope Millennials didn’t either. Gatsby’s love for Daisy is about her, not him. He doesn’t care about the money or the show; he only does all that for Daisy. The Gatsby on screen is a much more meaningful lesson: heart isn’t enough. Why doesn’t Gatsby have Daisy? Because he never proposed to her. He was waiting until he could provide the kind of life for her that he wanted. Daisy stopped waiting. The tragedy here is that Gatsby didn’t have enough faith to take a risk. If he had asked Daisy, would she have said yes? I think so. I hope what Millennials saw in this movie is that bluster can only take you so far. Even love can only take you so far. Commitment is what brings true success. I enjoyed this movie but I would leave off before a full-out rave. As a woman I desperately wanted more from Daisy. Marriage, and the interwoven lives of a husband and wife, is more complicated, more glorious and more painful, than Mulligan’s portrayal could touch. I’m surprised a director of Luhrmann’s caliber let this failing happen. Perhaps DiCaprio surprised everyone at the shoot and brought a depth that no one could match in the short time they had. I almost want to re-read the book to see if Fitzgerald wrote the Daisy I wanted. I love your reading of the film, even if I found it rather droll. The actors were great, the music was lovely, the visuals were stunning . . . but I feel safe in saying I don’t care for the story. I have a passing interest in seeing a different adaptation anyway, just in case. Any notion, as a Millennial, as to why people liked it?